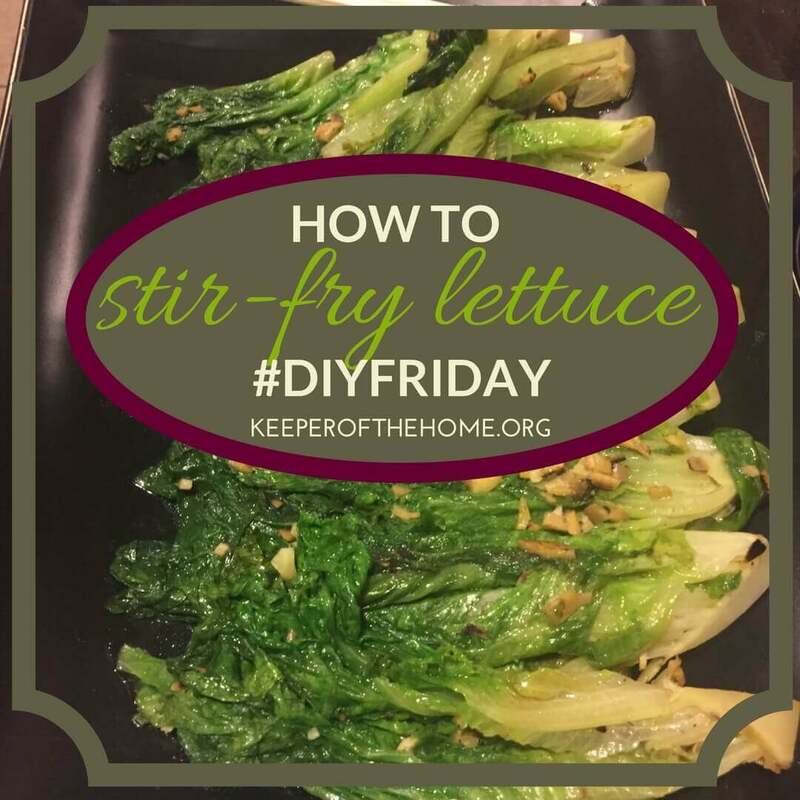 If you had asked me a few weeks ago, I would have never believed I would be sharing about how to stir-fry lettuce the easy way. But here I am…and here it is! Last week, we had a guest in our home from China. Simon, long-time friend of my husband, stayed with us for the entire week. Luckily for me, he loves to cook and took a generous amount of time to teach me several authentic Chinese dishes. As I watched our friend Simon move around our kitchen, the Chinese way of cooking seemed so simple. 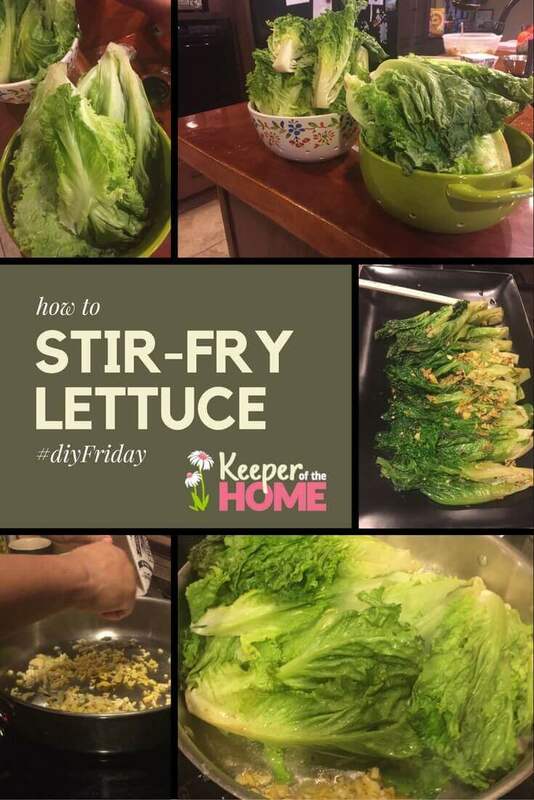 I shadowed him around like an eager student as he found items to replace a wok and the kinds of utensils he needed to create this super tasty stir-fry lettuce. Their ingredients are whole and simple, and even their technique of cooking may be straightforward. However, what I learned about the way they choose foods and even the foods they cook together was far from simple and still has me hungry to learn more! For example, they will use a food’s attribute of “hot” or “cold” to help balance the body’s inner microbiome, which in turn helps detox and flush toxins and prevent disease. I’ve been on a detox/cleanse kick so this had my ears burning for more! Think about it. We know peppermint is cooling from all those cute peppermint breath commercials that freeze everything. Horseradish fans know it’s warming. But how do you know which fruits are hot or cold? Or which meats? It’s not based on color or temperature… And how do you know which are best for you? I had certainly heard of yin and yang, but had not experienced it in such a profound or enlightening way. I also found that learning to apply this practice correctly is quite complicated! In fact, the more I learned while Simon was here, the more confused I became. My biggest takeaway, though, was something that I already knew and from time to time need a reminder of …and I’m sure you do. too…listen to your body! If it smells bad or tastes bad or makes you feel bad, chances are…you should avoid it. I’m not the same as my husband or any of my kiddos, so what’s good or bad for me isn’t necessarily the same for them. Listen, really listen, to what they tell you, too. Instead of using a peeler, Simon taught me to peel ginger with the tip of a spoon. It took me five times longer and my hands really hurt by the time I was done, but only the peel of the ginger was removed. Impressive! By the end of the week… and ginger in every recipe…I was maybe a little faster at the peeling, but tasting the ginger in every recipe was worth every bit of work! 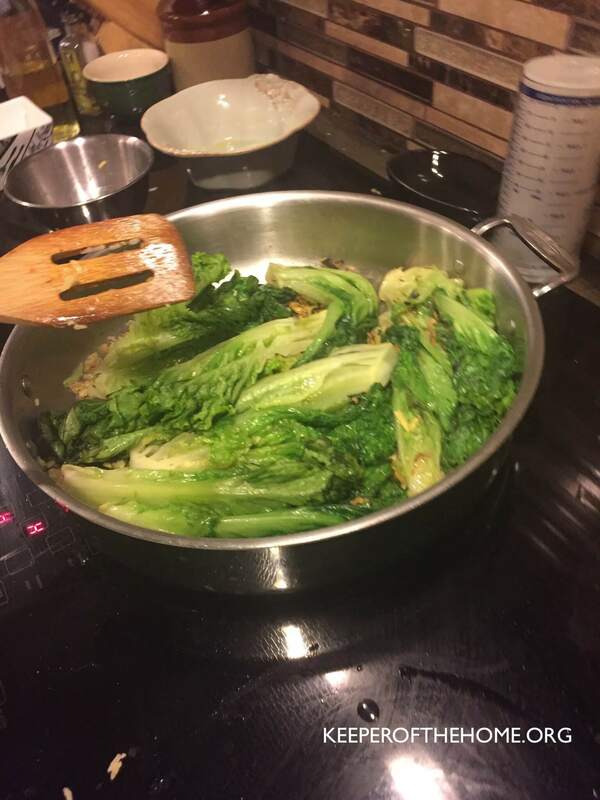 I wasn’t surprised that we all loved Simon’s orange chicken or his fried rice, but his cooked lettuce left me flabbergasted. Seriously: my mouth was hanging open as I watched my children devour it. Like most kids, ours tend to be picky about their greens. They all will eat broccoli, some even like peas, artichoke, and brussel sprouts, and even a salad, but cooked lettuce? No. Way. I was feeling for Simon as he began prepping for this dish. I thought he was going to be disappointed when there were still lots of greens left on that beautiful platter. I knew I would eat it and my hubs is always game for anything, but the kids? I thought they might take a bite or two to be polite, but that would be all. Nope. They ate it all. As I watched them going back for seconds, I was delighted with how pleasant they were and impressed with how far they would go to indulge Simon (they adore him)! But it continued. They went back for thirds. And in no time the platter was completely cleaned off. Pour enough oil into pan to cover and turn on high heat and add ginger and garlic. 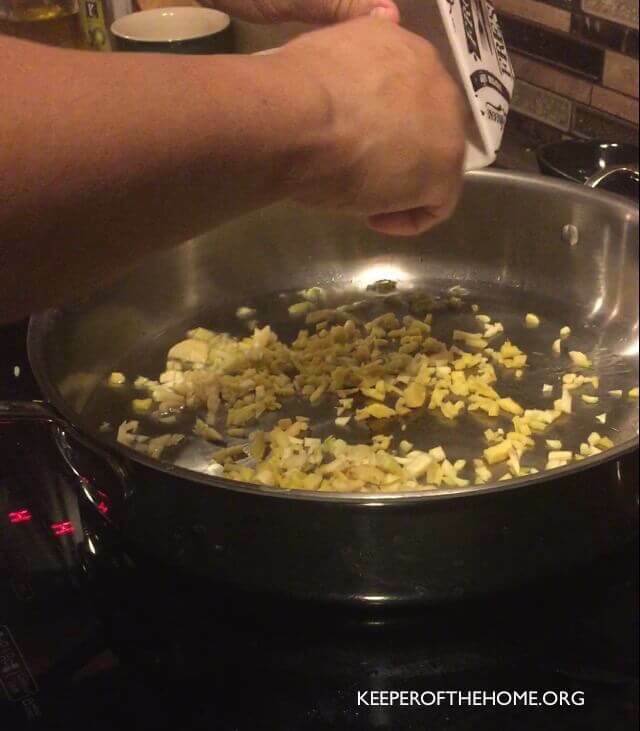 Saute for one to two minutes then sprinkle salt over garlic and ginger. Add lettuce then turn down heat to medium and cook about 5 minutes adding a little water if needed. 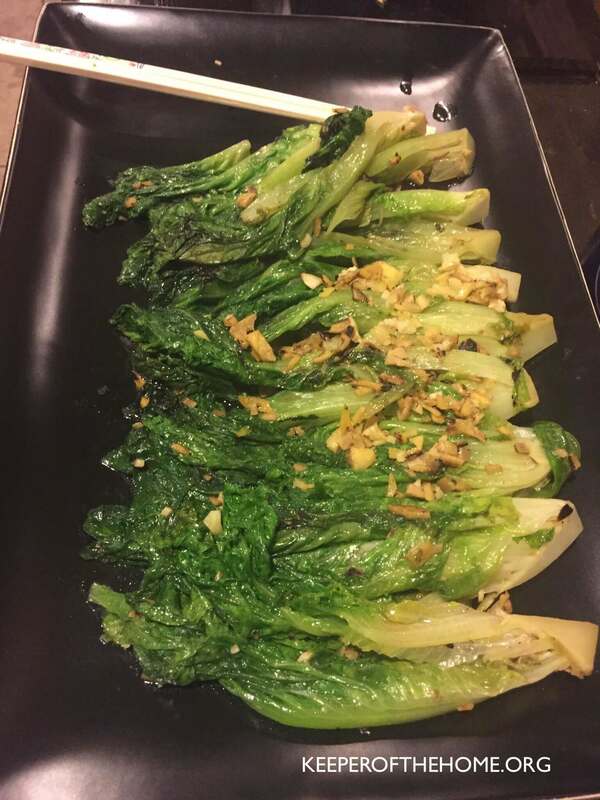 Lettuce will cook down dramatically. 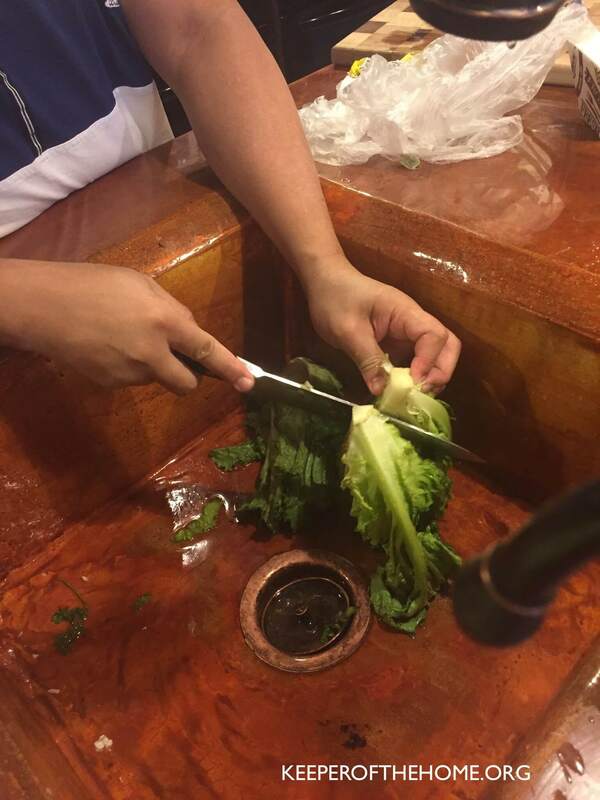 Turn lettuce two to three times making sure to coat with the oil. Remove from heat and place on platter. 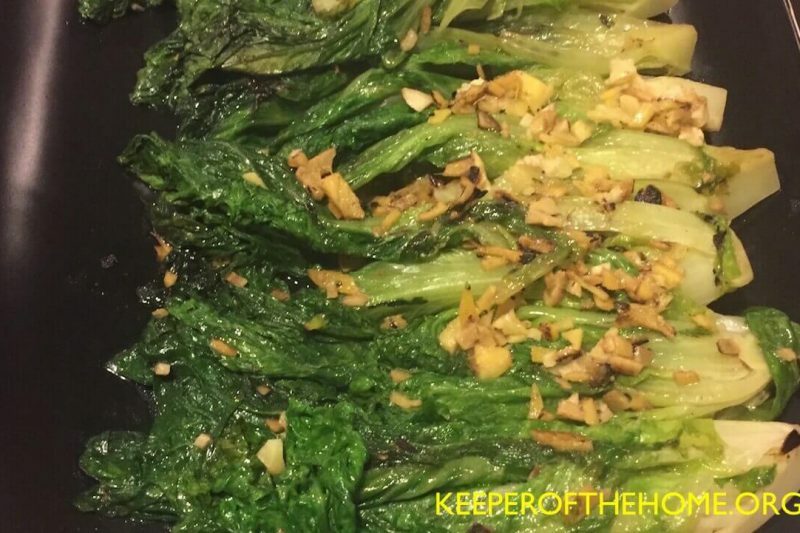 Pour oil, ginger, and garlic over lettuce. What’s your favorite stir-fry treat? Next Post: What Does the Bible Say about Fear? Thanks Diana!! If I’ve made you hungry then I must be doing my job 😀 lol….this was served with orange chicken, I’ll be sure to share that soon! Does this technique work with other greens? Hi Carla, yes you can do this with other greens. Just be aware that temp and cooking times may vary a bit…enjoy! Love this recipe. It is a great way to encourage kids to eat more green vegetables. Totally agree with the suggestion on using chopsticks for additional fun.